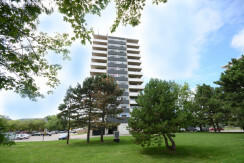 From the Scarborough bluffs to the Rouge Valley, those looking for apartment rentals in Scarborough will find plenty of choices of accommodations. Scarborough is a city of golf courses and green belts, while also providing those renting an apartment world-class public transportation systems and a full selection of restaurants, recreation and entertainment, arts and culture, as well as highly-regarded education and medical facilities. Many large manufacturing companies are located in Scarborough, providing excellent work opportunities to those looking to rent in Scarborough. Home to just under 600,000 people, Scarborough is a suburb of Toronto, yet those looking to rent an apartment in Scarborough can expect to pay much lower prices. Many three and four bedroom apartments can be found for rent in Scarborough for very reasonable prices, starting at about $935 and going up to $1,550. Two-bedroom apartments top out at about $1,350 and may be found for as little as $840. One bedroom units range from approximately $1,099 down to about $750. Bachelors are found for $825 at the high end, and $650 at the low end. Those looking to rent an apartment will be pleased to find Scarborough has all the amenities of the big city, close to home. 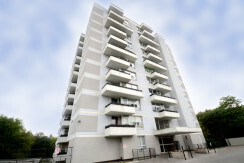 With so many options and wide price range, you will want to find a safe, secure Scarborough apartment that you can call home. 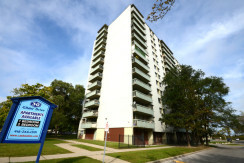 Cando Apartments has several buildings and locations throughout Scarborough. Their buildings are well-maintained by professional superintendents, their assistants, and a solid property management team backing them up. 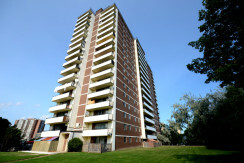 Choose your unit from any one of their apartments available for rent in Scarborough. 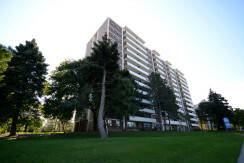 You will find they are close to major highways, convenient to shopping and centrally located. Walk to nearby parks or take public transportation into the city; Cando Apartments has the rental apartment you are looking for.